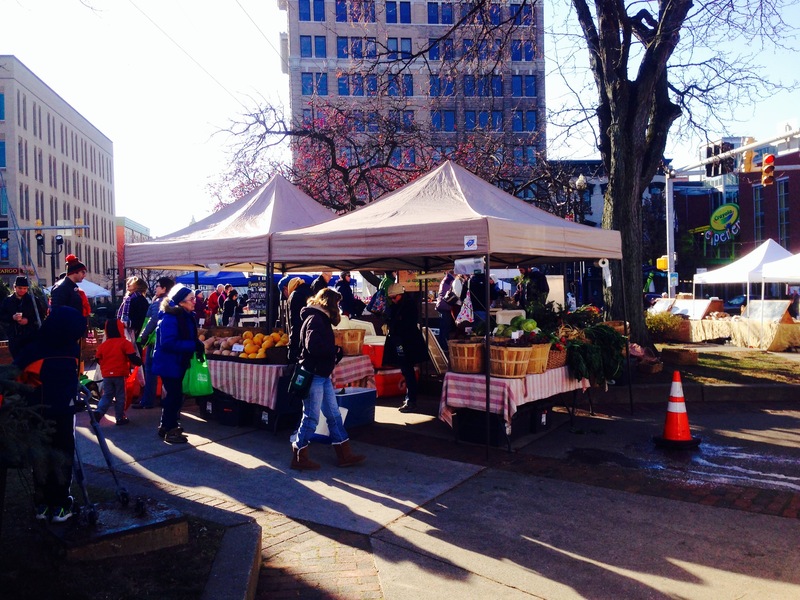 Yesterday was a beautiful day to take in the Easton Farmers’ Market. 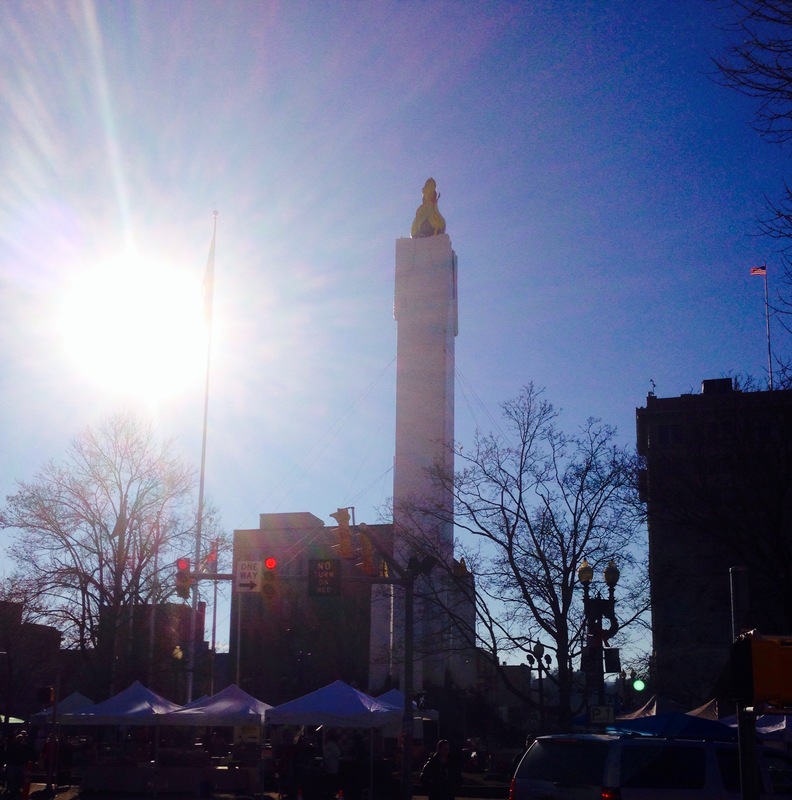 The peace candle has replaced the statue in the circle and it was a beautiful, although chilly, morning. 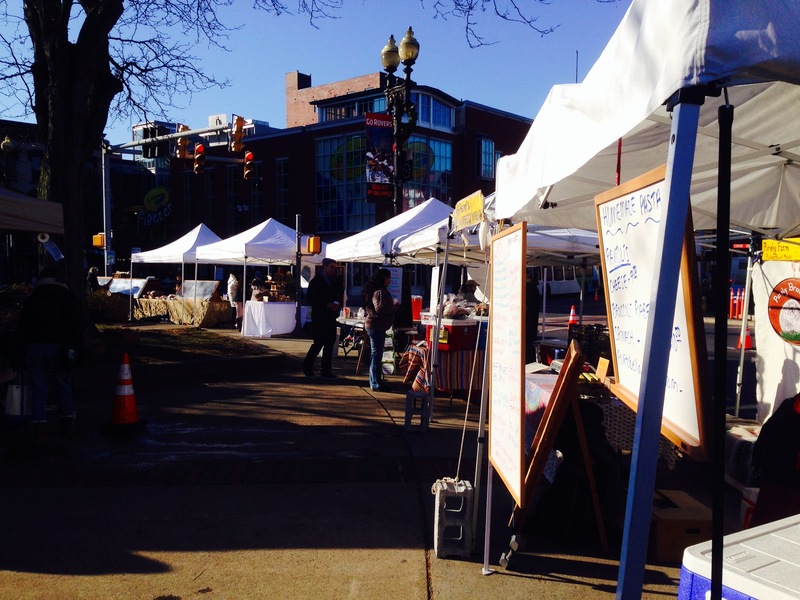 This was the last open air market day of the season. 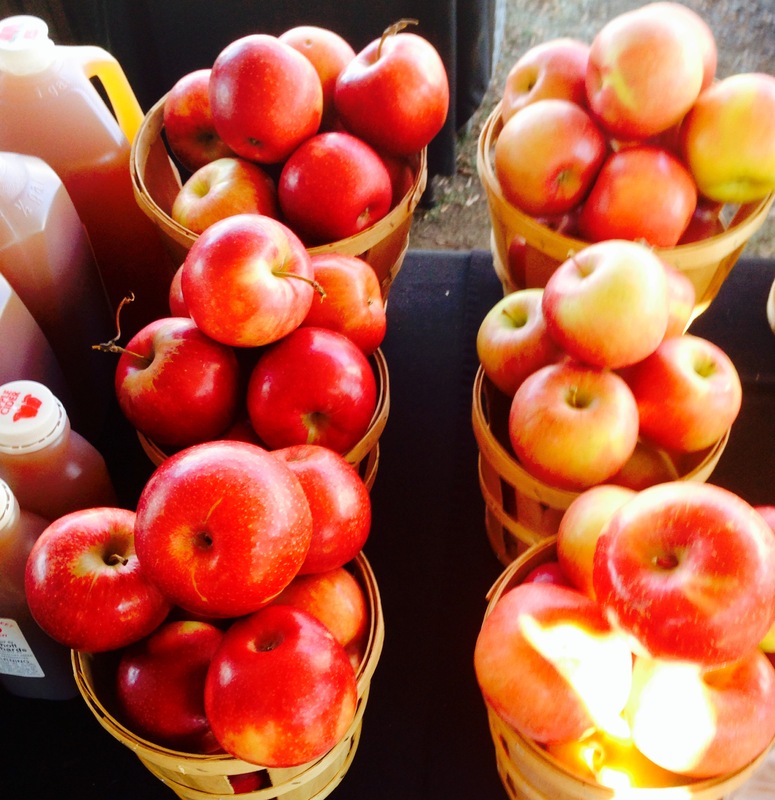 After a break next weekend, the market will be moving indoors until spring. It was also a great day to start getting ready for Thanksgiving. First stop? 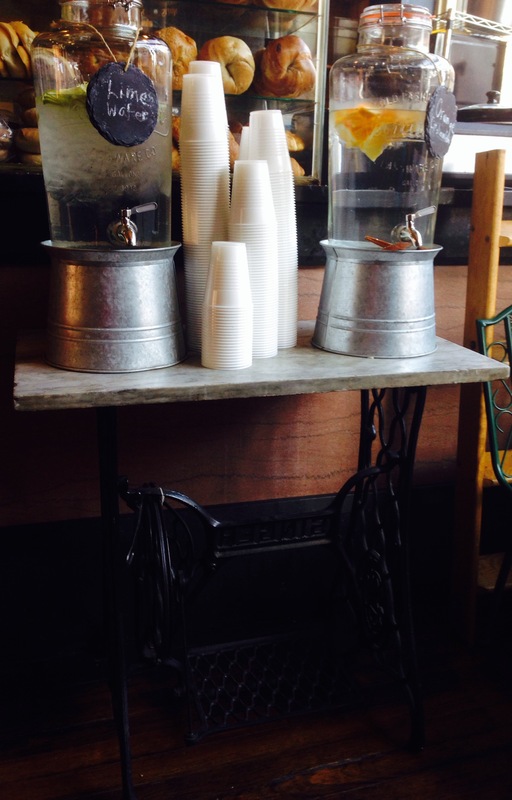 Our favorite breakfast place-Quadrant Book Mart and Coffee House. Before shopping for Thanksgiving inspiration some nourishment was definitely in order. Nothing is worse than food shopping on an empty stomach, right? This is, by far, the best cup of coffee Easton has to offer. 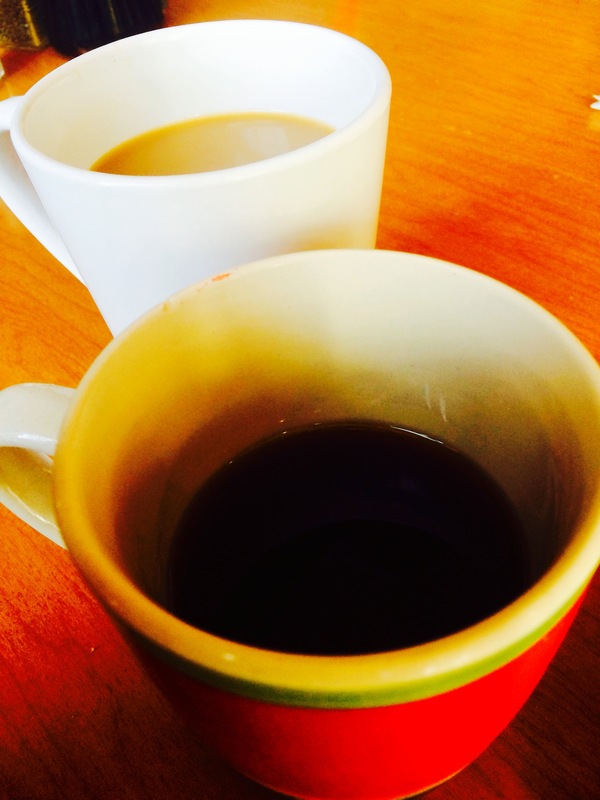 Black pumpkin brûlée for me and decaf with cream and sugar for the hubby. 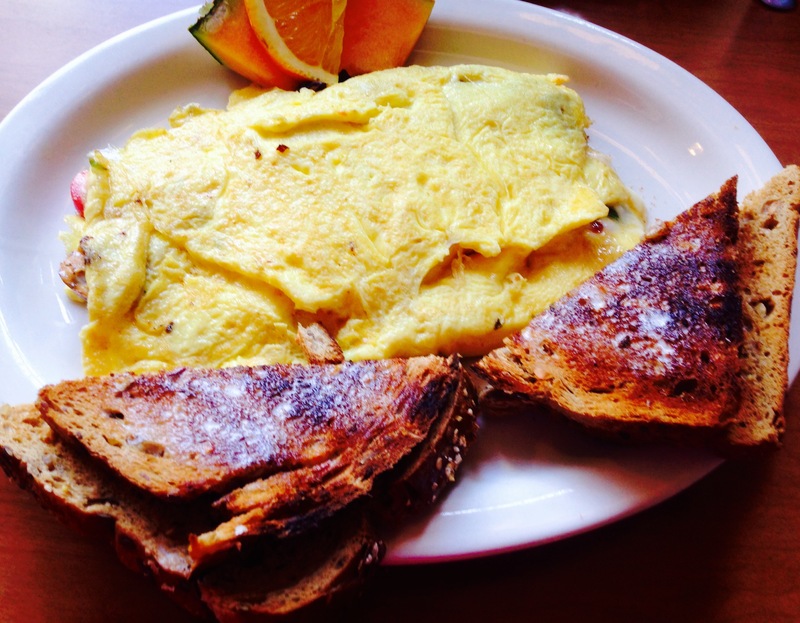 I decided on the market omelette, which is almost always my choice. This one featured asparagus, roasted tomatoes, artichokes and goat cheese with a side of multigrain toast. It was an exceptional way to start our adventure. 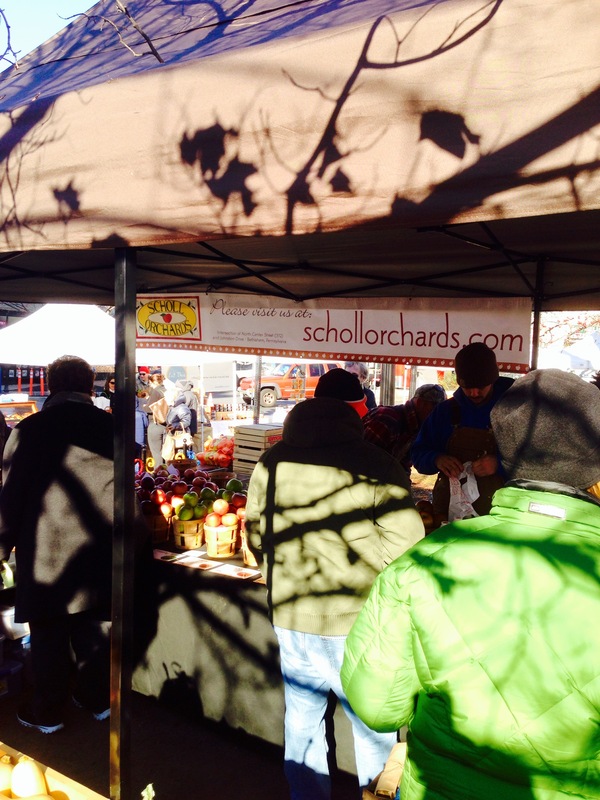 We were fortunate to make it out early before the market was super busy. These pictures would have looked very different a few hours later! 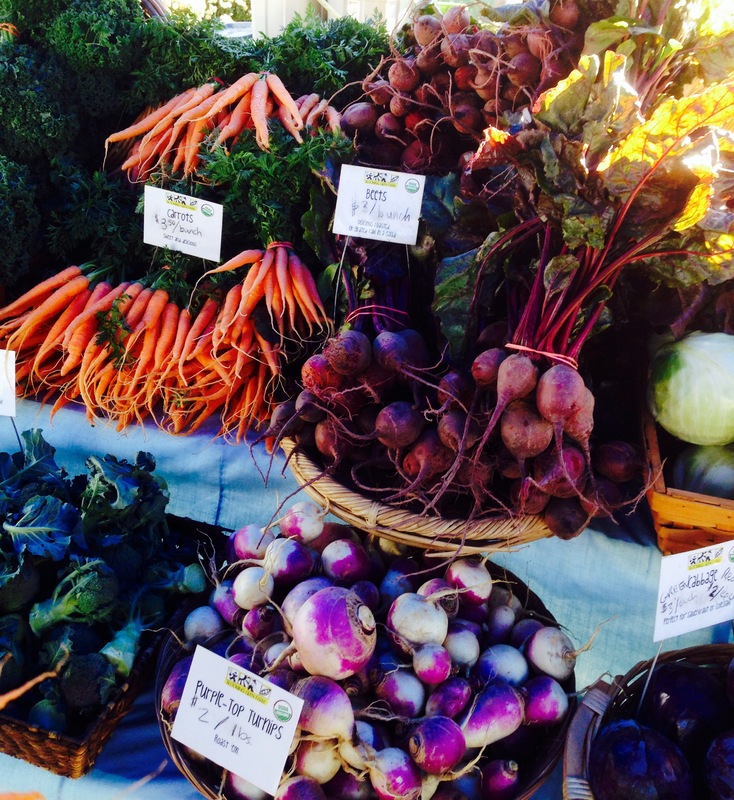 This is always one of my first stops at the market and this week was no exception. 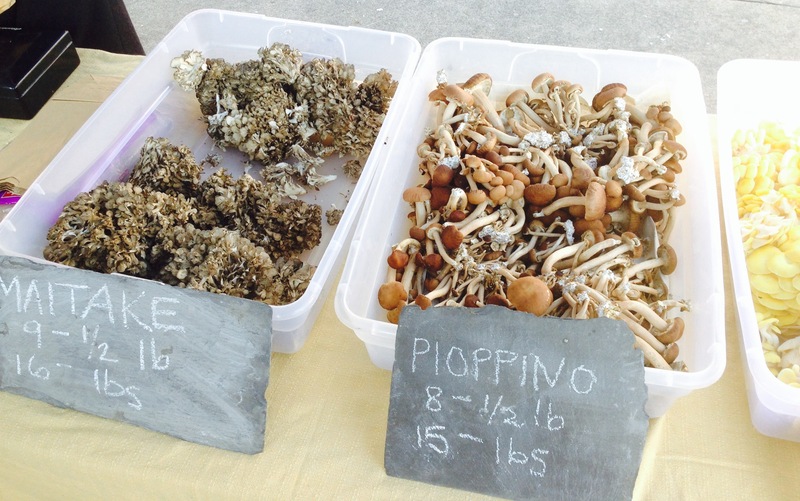 Primordia Mushroom Farm always has the freshest and most diverse selection of mushrooms. 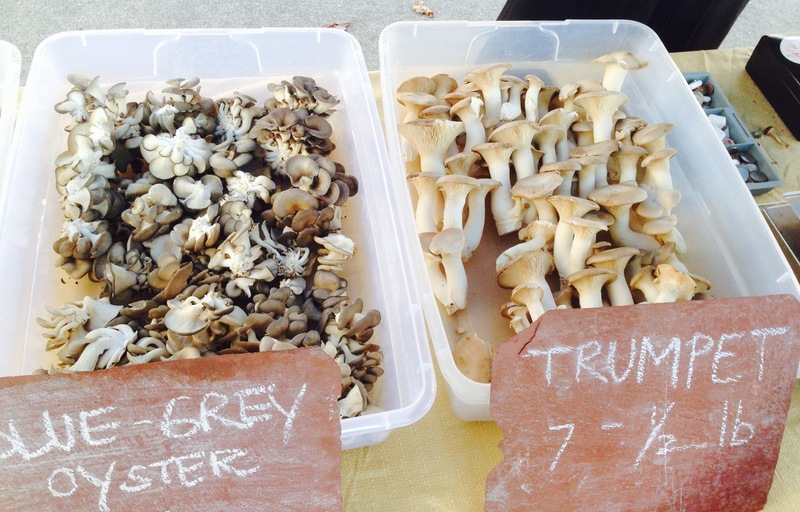 We decided two pounds of their beautiful trumpet mushrooms will have a place on the menu for Thanksgiving. I plan on roasting them simply in olive oil, salt and pepper to allow their natural flavor shine through. We also left with a pound of shiitakes. Thanksgiving, after all, is not the only meal this week. 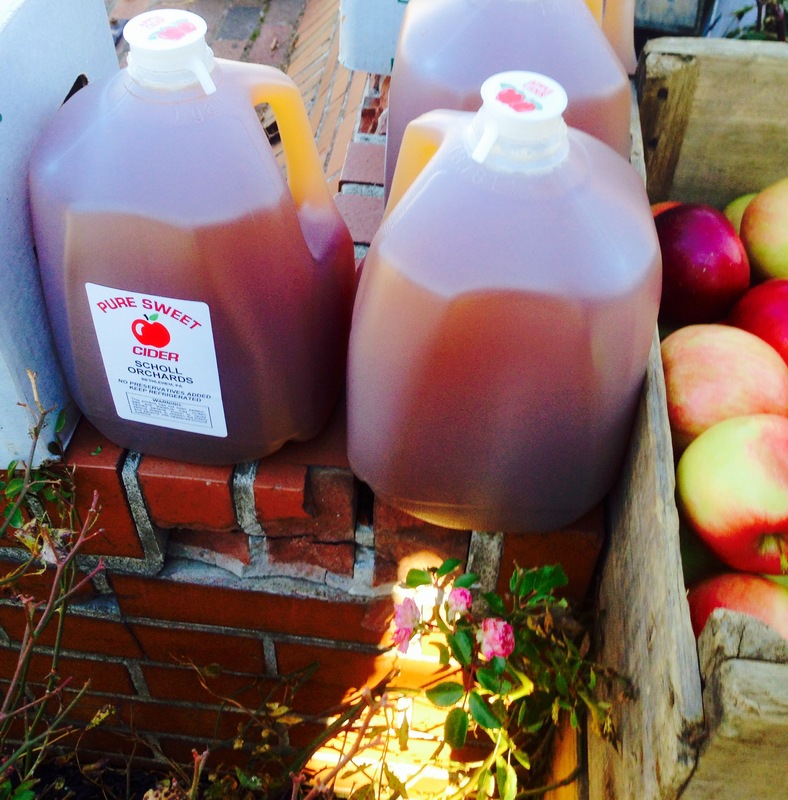 Our next stop was Sholl Orchards, where the first order of business was six gallons of apple cider. Yes, six! Some for the turkey brine and the rest my hubby will be working his home brew magic on. 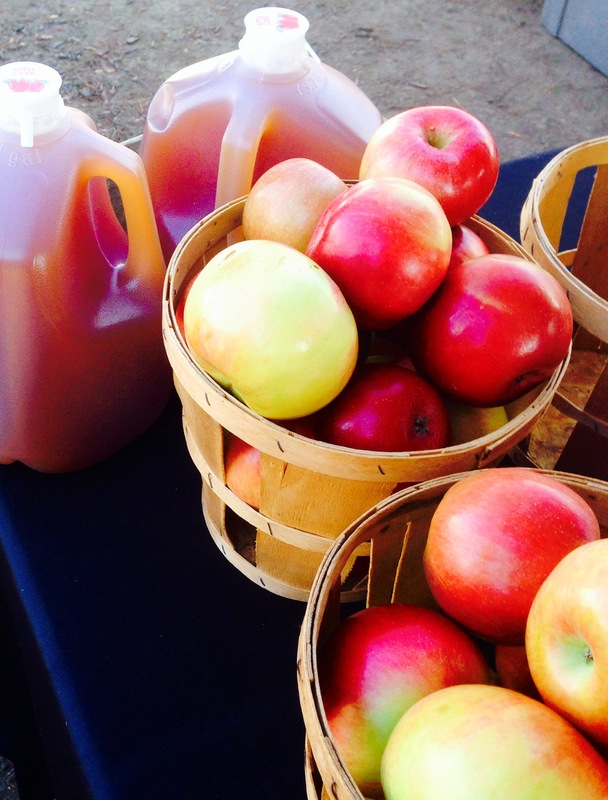 Soon, we will have hard apple cider! 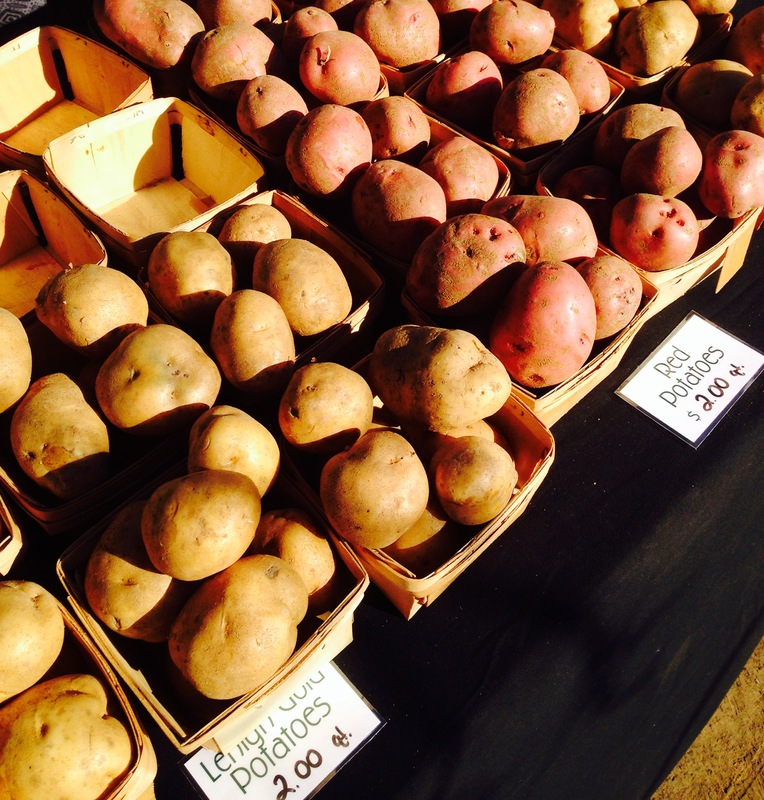 We also picked up four quarts of potatoes and some apples. Thanksgiving dinner would not be the same without some vegan mashed potatoes. My sister is vegan, and my son and I avoid dairy, so all of our side dishes are vegan to keep it simple. After running the cider and beginning of our bounty to the car, our next stop was to see our favorite baker at Saxman Breads. We left with two loaves of rustic italian bread for stuffing and bread crumbs. I couldn’t resist a loaf of the farm grain as well, since it is my absolute favorite bread. Sorry, you only get to see his back. 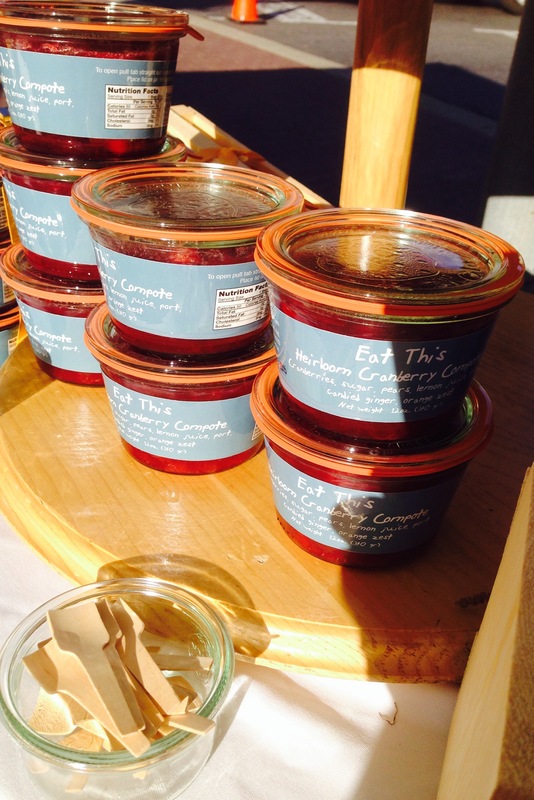 Since cranberry sauce is not my strong point, we decided on some Eat This heirloom cranberry compote. I love their jars and will be serving it as is. 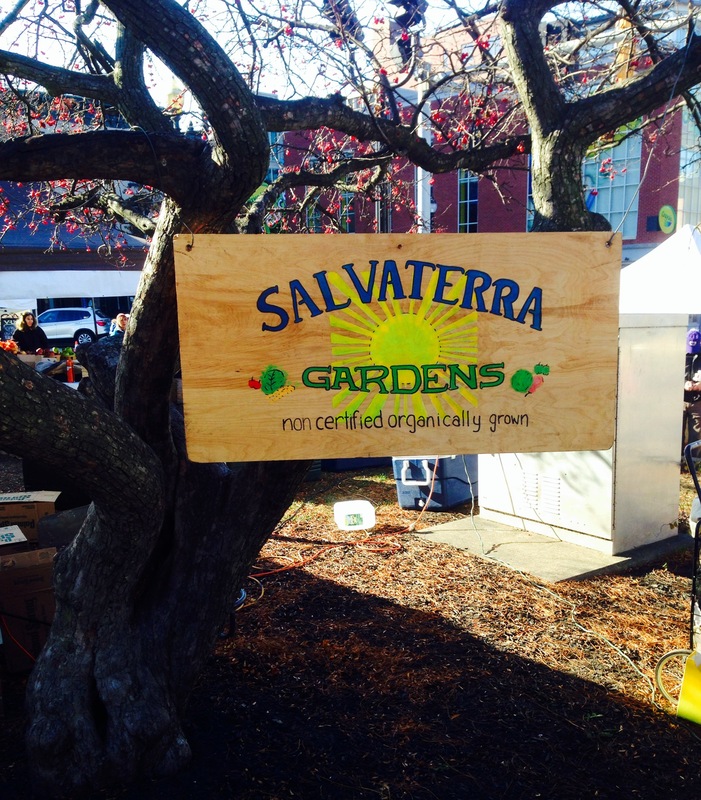 At Salvaterra Gardens we picked up butternut squash for the vegan butternut squash lasagna and greens-red russian kale, lacinto kale and rainbow swiss chard for vegan creamed greens. This Thanksgiving menu is coming together quite nicely! 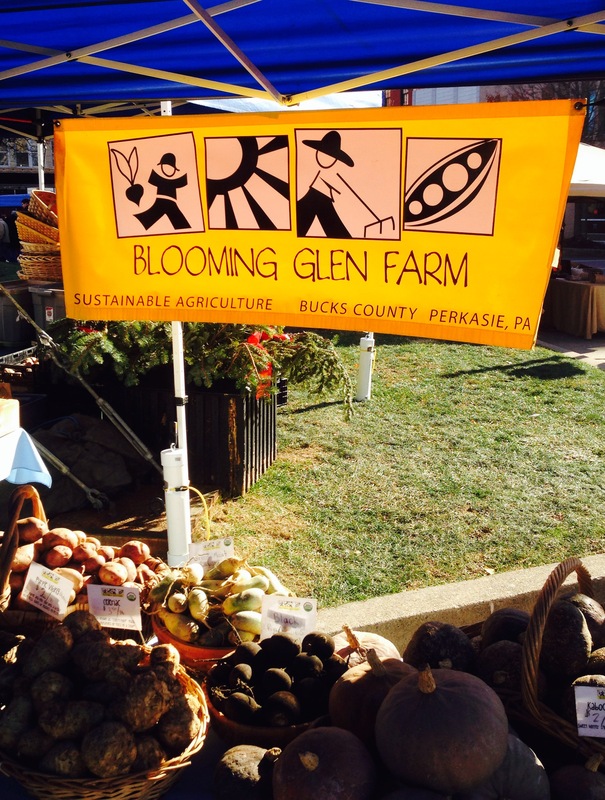 Next, at Blooming Glen Farm, I picked up some beautiful little carrots. These will be roasted whole in a maple glaze. 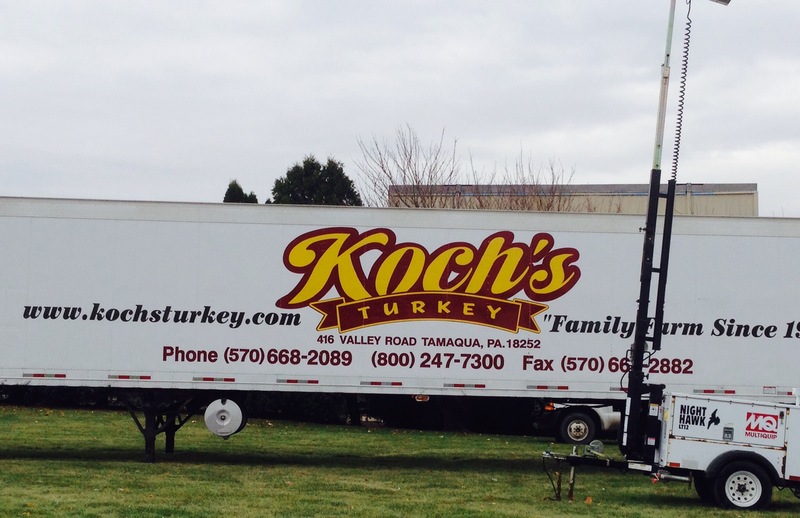 After a quick stop at Wegman’s for some grocery staples, nothing picture worthy there, we headed to Koch’s Turkey for the star of the Thanksgiving meal. This year we have decided to stray a little from tradition. We are going to brine and then smoke turkey breasts and thighs instead of doing a whole bird. We picked up five pounds of each and some giblets for gravy. 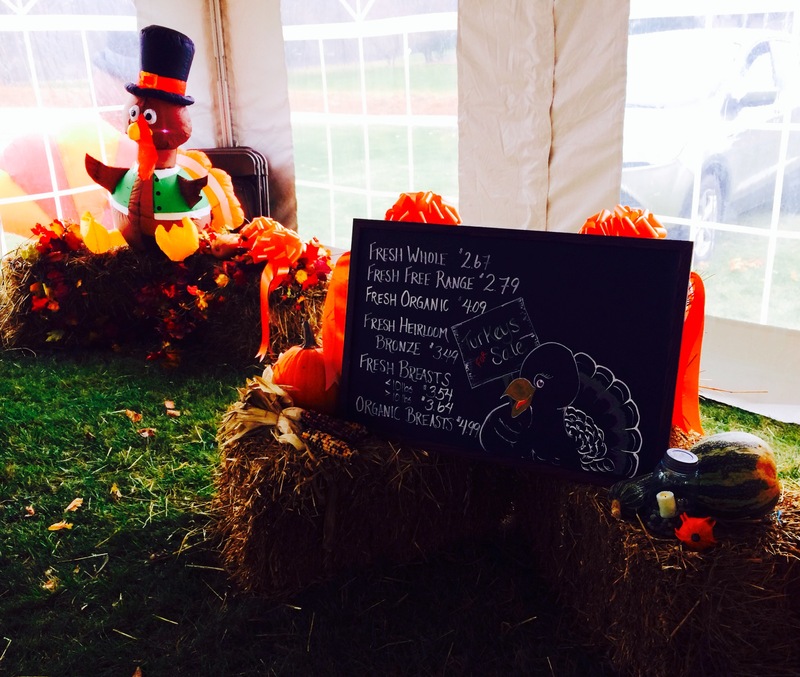 We spent some time talking with some of the employees and discovered they are certified humane, and the turkeys are fed an all natural diet of non-GMO corn and soy from their own farm as well as other local farms. They are hormone and antibiotic free as well. 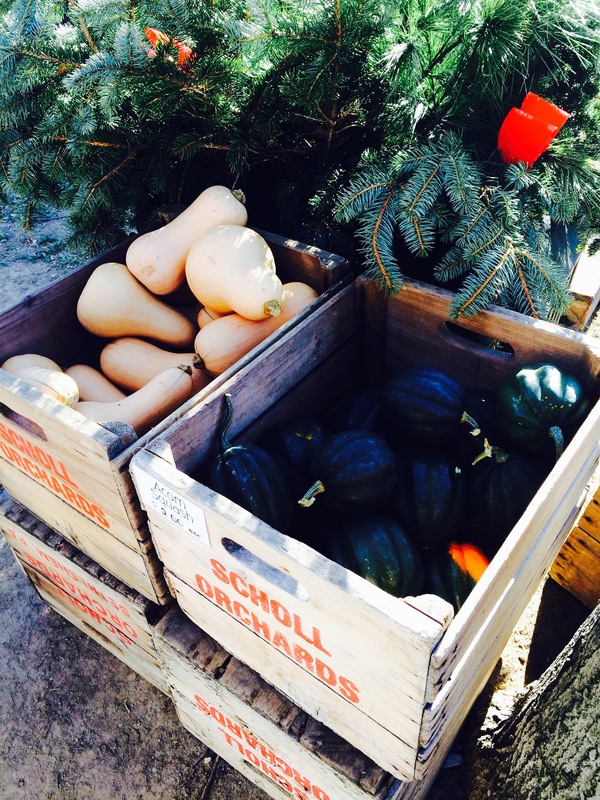 We are lucky to have this farm close to home so that we can go visit and buy direct. By doing so, we save a ton of money and get the freshest turkey. In the past we always bought from one of their farmers’ market stands. We were very surprised at how large an operation it really is. Stayed tuned for my Thanksgiving post to see how the menu turns out! 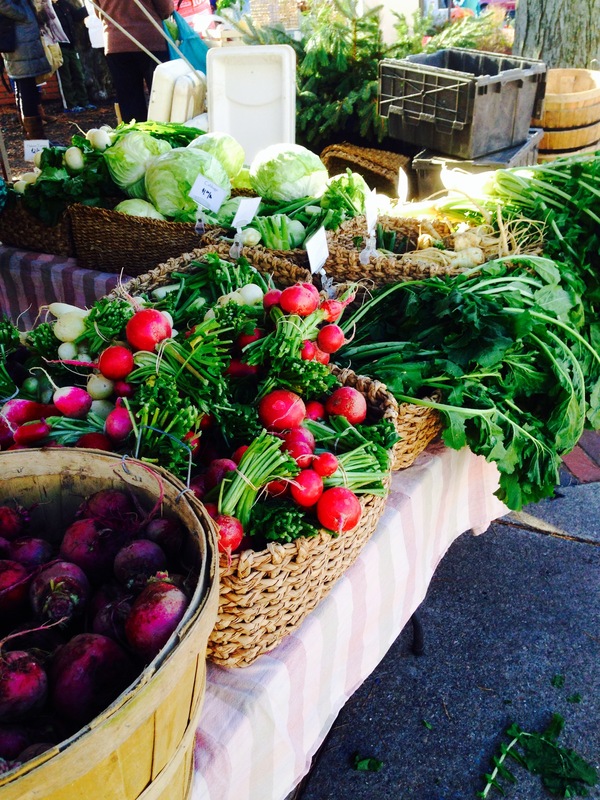 We definitely have all the best, freshest, local ingredients we could find. 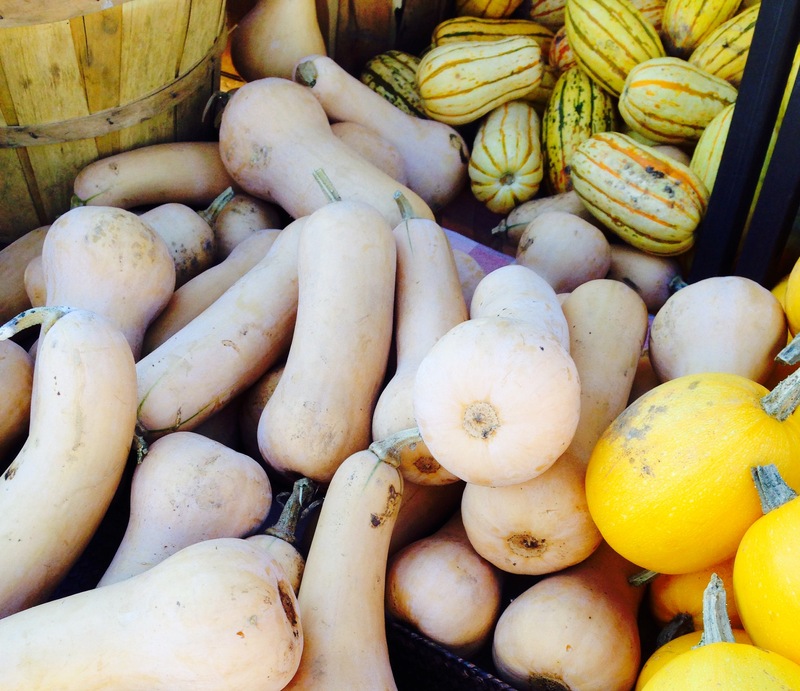 I am thankful to all the local farmers who keep us well fed at Thanksgiving and all throughout the year. We really are fortunate to live in an area where we have these farmers and their crops available to us! 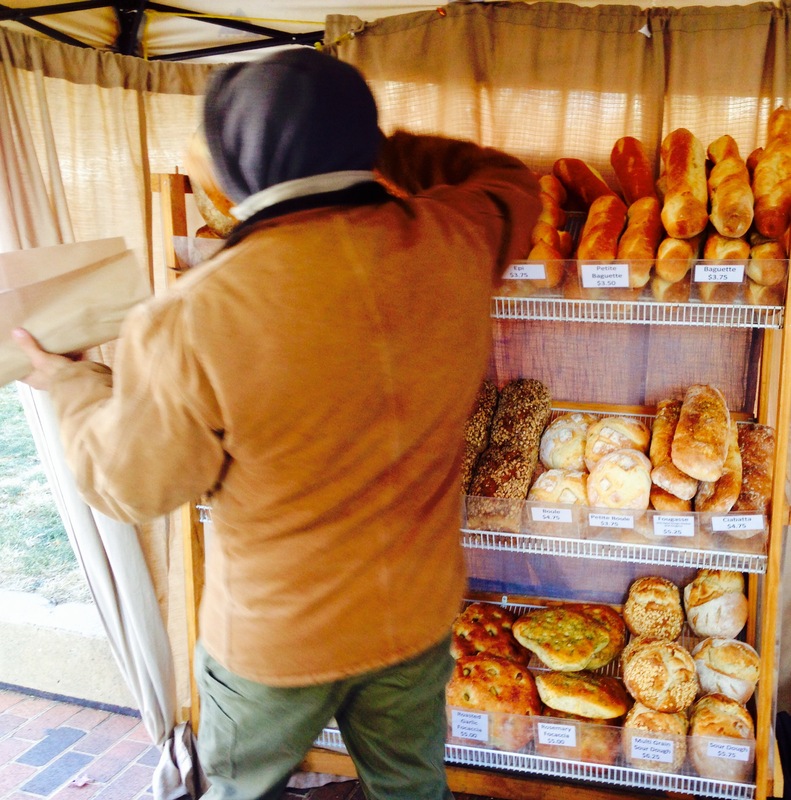 Sadly, I could not find a website for Saxman Breads, but find them at Easton, Emmaus and Macungie Farmers’ Markets. Happy Thanksgiving everyone! I hope you find yourself surrounded by the people, and food, you love! 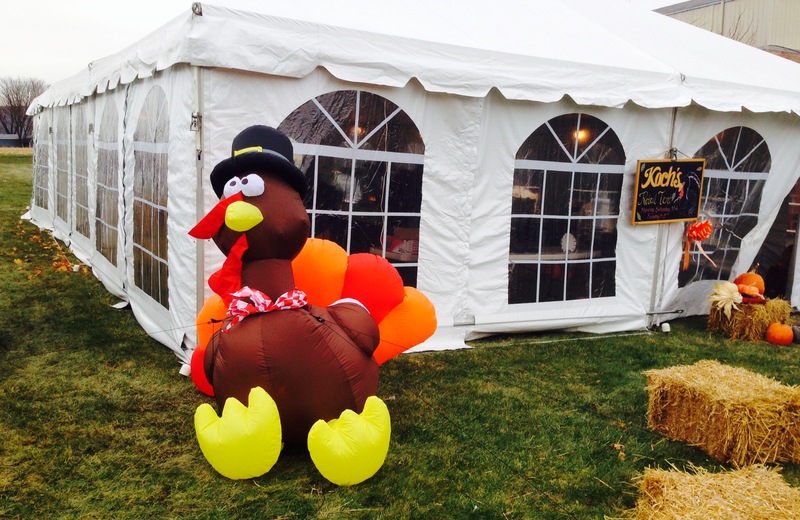 This entry was posted on Sunday, November 23rd, 2014 at 6:41 AM	and tagged with bakers, breads, Easton Farmers' Market, farmers, farmers' market, Food, holiday dinner, Koch's Turkey, Quadrant, thanksgiving, Thanksgiving prep, turkey, turkey farm, vegetables, vendors and posted in Food. You can follow any responses to this entry through the RSS 2.0 feed.